If you want to know what muscle hypertrophy is, how it works, and how to stimulate it best, then you want to read this article. Muscle hypertrophy is the technical term for muscle growth, and it refers to an increase in the size of your muscle cells. Regardless of your genetics, muscle fiber type, or number of muscle cells, you can significantly increase muscle hypertrophy if you train and eat correctly. The best way to increase muscle hypertrophy is to get as strong as possible on the big compounds lifts like the bench and overhead press, squat, and deadlift, and eat slightly more calories than you burn. Muscle hypertrophy is a confusing subject. Hell, it’s a confusing word. How do you even say it? And what does it mean, exactly? Some people say that the best way to stimulate muscle hypertrophy is to use different rep ranges to develop different kinds of muscle fibers. Some say that there are different kinds of muscle hypertrophy—”myofibrillar” and “sarcoplasmic”—and if you aren’t emphasizing both in your training then you’re leaving gains on the table. If you want bigger muscles, you’re told, you want to maximize sarcoplasmic hypertrophy, and you do that by training with light weights and high reps, supersets, and so forth. And if you want stronger muscles, you want to maximize myofibrillar hypertrophy, and you do that by training with heavy weights and low reps.
Then, others say that muscle hypertrophy is almost entirely genetic. They say your DNA determines whether you can build a lot of muscle or not, and how you train isn’t going to make much of a difference one way or another. Then, of course, almost everyone says that cardio is horrible for muscle hypertrophy. … and I understand. I was in your shoes at one point, too. When I started working out, I was your average tall, skinny dude, and for the first one and a half years, I followed run-of-the-mill bodybuilding magazine workouts. And in this article, I’m going to share with you the key lessons I’ve learned so you can follow in my footsteps. Can You Grow New Muscle Cells? How Can You Increase Muscle Hypertrophy? Do lots of heavy, compound strength training. Do a small amount of cardio. Maintain a slight calorie surplus of about 10%. Follow a high-protein and high-carb diet. 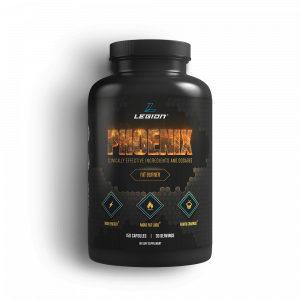 Take supplements proven to accelerate muscle gain. Muscle hypertrophy is the technical term for an increase in muscle size. Hyper means “over or more,” and trophy means “growth,” so muscle hypertrophy literally means the growth of muscle cells. To understand what causes muscle hypertrophy and how it works, you first need to understand what muscles are comprised of. 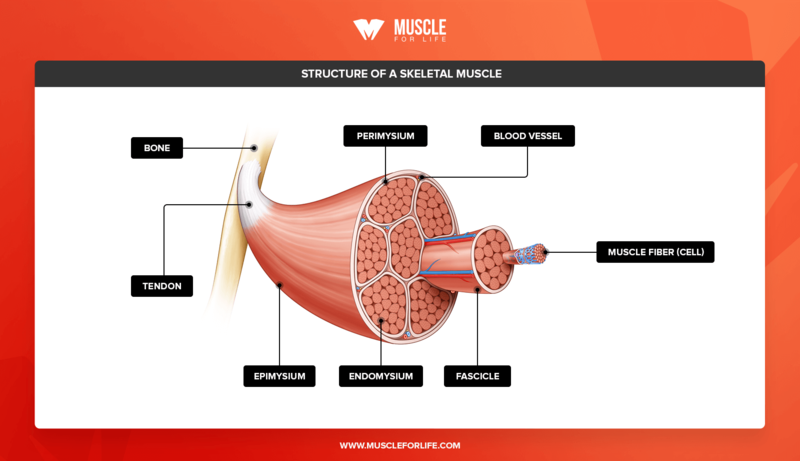 Muscle tissue is a complex structure, with bundles of long strands of muscle cells sheathed in a thick band of connective tissue known as the perimysium. Glycogen, which is a form of stored carbohydrate that can make up anywhere from ~0 to 5% of muscle tissue by weight. Protein, which makes up about 20% of muscle tissue by weight. To cause muscle hypertrophy, you need to increase the amount of water, glycogen, or protein in a muscle cell. When people say “muscle hypertrophy,” they’re generally referring to an increase in the amount of protein in the muscle. This is known as myofibrillar hypertrophy, which refers to an increase in the amount of protein contained in individual muscle cells. It’s called “myofibrillar” hypertrophy because myo means “muscle,” and a fibril is a threadlike cellular structure. There’s another kind of hypertrophy, though, known as sarcoplasmic hypertrophy. Sarco means “flesh” and plasmic refers to plasma, which is a gel-like material in a cell containing various important particles for life. Sarcoplasmic hypertrophy, then, is an increase in the volume of the fluid and non-contractile components of the muscle (glycogen, water, minerals, etc.). It’s obvious that the sarcoplasmic elements of muscle cells (necessarily) expand as myofibrillar growth occurs, and that you can temporarily increase sarcoplasmic volume by doing things like getting a pump or loading creatine or carbs. Can the sarcoplasm expand at a rate significantly faster than the myofibrils expand? If so, can this expansion result in long-term increases in muscle size? That is, is there more to sarcoplasmic hypertrophy than a temporary “pump”? 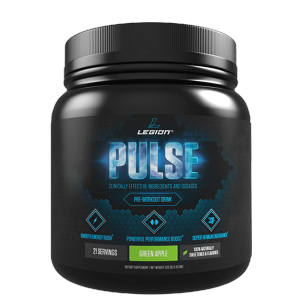 Can it contribute significantly to total muscle size and gain over time? Some people say the answer is obviously yes. “How can a 170-pound powerlifter out-squat a 250-pound bodybuilder?” they ask. Sarcoplasmic hypertrophy would seem to answer this question. The bodybuilder, in his quest to build the biggest muscles possible, has (apparently) developed muscles with more sarcoplasm, but less contractile protein than the powerlifter. Strength athletes squat, deadlift, and bench press far more frequently than bodybuilders, and the more you do something, the better you get at it. Thus, powerlifters are probably just better at those key exercises than bodybuilders, who perform them much less frequently. This is why you can find many examples of bodybuilders that switch to powerlifting and gain strength very quickly, as they improve their technique. That said, it actually does appear that sarcoplasmic hypertrophy is indeed more than merely a side effect of working out. Every time a muscle contracts, metabolic byproducts like lactic acid build up in and around the cells. Your body then pumps more blood into your muscles to carry these compounds away, which makes your muscle cells swell. These compounds also pull water into the muscle cells, making them swell even larger, and this reduces the amount of blood that’s able to escape, causing still more swelling. We experience cellular swelling as a pump, of course, and there’s strong evidence that this increases protein synthesis, which is is the creation of new muscle proteins and the process that drives myofibrillar hypertrophy. In other words, while sarcoplasmic hypertrophy in and of itself doesn’t contribute to overall muscle size as directly as myofibrillar hypertrophy, it does seem to stimulate more myofibrillar hypertrophy, thereby helping you get jacked faster. This is why it’s a good idea for intermediate and advanced weightlifters to include some higher-rep work in their workout routines, which maximizes sarcoplasmic hypertrophy. In my opinion, beginners don’t need to worry about “periodizing” their training like this. If they just spend their first couple of years focusing on increasing whole-body strength with a lot of heavy, compound weightlifting, they’ll gain more or less all the muscle they possibly can in that period. Another idea that’s been kicking around the bodybuilding space for years now is muscle hyperplasia. This is a technical term that means the formation of new muscle cells (plasia means “the development of cells”), and there’s an ongoing debate as to whether it’s actually possible or not. Some say that both muscle hypertrophy and hyperplasia contribute to overall muscle growth, whereas others say that muscle hyperplasia doesn’t occur at all in humans, and any increase in muscle size is solely due to the two types of muscle hypertrophy we’ve already discussed. If you flip open a physiology textbook, you’ll read that there’s nothing we can do to increase or decrease the number of muscle cells in our bodies—that we can only grow or shrink their size. And by and large, most studies show that’s the case. That said, though, most of these studies were conducted on sedentary people, and there’s some evidence that we may be able to add new muscle cells with enough years of hard training. The first line of evidence comes from animal research, which found that hyperplasia can occur if you use a sufficiently brutal training protocol. For example, scientists from the University of Texas found that they could cause a 24% increase in muscle size due to hyperplasia when they attached a weight to a bird’s wing for 30 days. Although it’s not practical, other research has shown that you can cause hyperplasia in rats by cutting them open and partially destroying the muscles. The second line of evidence is more convincing. A few studies have shown that bodybuilders have more total muscle cells than their nonlifting counterparts, which has led some to conclude that their years of hard training must have caused muscle hyperplasia. 1. We have no idea how many muscle cells everyone had before the study. It’s possible that the bodybuilders in these studies were just born with more muscle cells than the sedentary people. 2. The studies didn’t directly measure or demonstrate muscle hyperplasia. Instead, they just found a correlation between bigger muscles and more muscle cells. Muscle hyperplasia may or may not have caused this to occur. 3. Most other studies have found that bodybuilders and sedentary people have the same number of muscle cells. This would indicate that most bodybuilders have bigger muscles through growing their existing muscle cells, not adding new ones. Another possible way to induce muscle hyperplasia in humans is steroids. Those who had used large doses anabolic steroids for several years. Those who had never taken steroids. After analyzing the muscle tissues, researchers found that the steroid users had significantly more muscle cells than the natties, so it’s possible that getting on some #dedication is a good way to cause muscle hyperplasia. This might also help explain why people who’ve used steroids tend to keep at least some of their chemically enhanced gains years after they stop taking drugs. There are several factors that affect how much and how quickly you can stimulate muscle hypertrophy. This also leads to a lot of confusion as to the “best” way of going about it. Some people say you just need to stick to the basics—heavy weights, progressive overload, moderate volume, etc.—whereas others believe you should make things much more complex. Train different muscle groups differently, according to their muscle fiber composition. Include “fancy” programming techniques in your workout routine, like rest-pause sets, supersets, etc. Supplement with handfuls of pills and powders every day. And some people say none of any of the above matters as much as your DNA—that most of your progress (or lack thereof) will come down to your genetics. Let’s unpack this and see what the current weight of the scientific evidence says. A muscle fiber is a muscle cell (the terms are interchangeable), and not all are the same. Some muscle fibers are better suited for endurance activities and others are more suited for strength and power. The former are referred to as type I muscle fibers, and the latter as type II. Type I fibers are also known as “slow-twitch” muscle fibers, and they’re dense with capillaries, rich in mitochondria and myoglobin, and very efficient at absorbing oxygen from the blood, which makes them very resistant to fatigue. This is why they can contract repeatedly for long periods of time. They also, however, have about half the potential for growth and power output as type II muscle fibers. Type II fibers are also known as “fast-twitch” muscle fibers, and their structure and physiology make them better suited for generating strength and power. They also grow larger than type I fibers and contract faster as well, but fatigue much faster, making them less suited to endurance activities. Because of these differences, bodybuilders have claimed for years that you can (and even should) selectively target these fiber types with different styles of training techniques. The most common one talked about is using higher reps and lower weights to maximally stimulate the type I muscle fibers, and using higher weight and lower reps to activate the type ll fibers. This way, you can gain muscle as quickly as possible. The theory behind this approach may sound reasonable, but when you look beneath the hood, it starts to get messy. First of all, the idea that different kinds of strength training preferentially stimulate different muscle fibers isn’t true. Whether or not a muscle fiber type activates during your set depends more on how close you are to failure than what rep range you use. That is, as long as you finish your sets relatively close to failure, both heavy and light weights can stimulate both type I and type II muscle fibers equally well. Dr. Brad Schoenfeld made this clear in one of the most comprehensive reviews on muscle growth to date, published in 2010 in The Journal of Strength and Conditioning Research. “… a fiber-type prescription with respect to repetition range has not been borne out by research,” he concluded. Second, not all muscle fibers fit neatly into these “type I” and “type ll” classifications. A large proportion of our muscle fibers share properties of both type I and type ll cells, and these “hybrid” fibers can adapt well to both strength and endurance activities. This makes it more or less impossible to only target your type I or type ll muscle fibers with different kinds of training or rep ranges. The last problem with this idea of “targeted muscle fiber type training” is that most of the muscles in your body have a roughly even mix of type I, type ll, and hybrid muscle fibers. The calves are a notable exception, which tend to be about 60 to 90% type l muscle fiber, but most muscles have around 50% type I and type II muscle fibers. What this means, then, is even if you could target type I or II muscle fibers with different rep ranges, you’d still want to use both high and low reps on all major muscle groups to emphasize both fiber types. You may have also heard that through certain types of training techniques, you can transform some of your low-growth type I muscle fibers into high-growth type II fibers. Science shows that’s basically impossible. 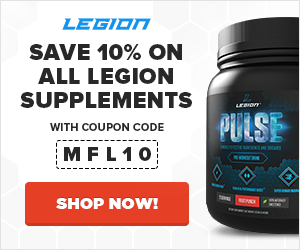 With enough training, you may be able to slightly shift your hybrid muscle fibers about 10% toward the “type l” or “type ll” ends of the spectrum, but that’s it. Your “pure” type l and type ll muscle fibers, however, don’t seem to change at all regardless of how you train them or how long. An instructive example of this comes from a study conducted by a team of researchers at The University of Memphis, which looked at the muscle fiber type of high-level powerlifters and people who had never lifted weights. And when I say “high-level,” I mean it—the average bench press in the group was almost 400 pounds, and their average squat and deadlift were both over 600 pounds. Both the powerlifters and the untrained people had the same proportion of type l and type ll muscle fibers. In other words, it looked like the powerlifters’ years of heavy lifting hadn’t resulted in more type II muscle fiber. So long as you’re using relatively heavy weights, training in the rep range of about 4 to 12 reps, and pushing yourself to 1 to 2 reps shy of failure in most of your sets, you’re going to experience plenty of type I and II muscle fiber growth. Mechanical tension refers to the amount of force produced in muscle fibers. When you lift weights, you produce two types of mechanical tension in your muscles: “passive” and “active” tension. Passive tension occurs when your muscles are stretching, and active tension occurs when they’re contracting. Muscle damage refers to microscopic damage caused to the muscle fibers by high levels of tension. This damage requires repair, and if the body is provided with proper nutrition and rest, it will make the muscle fibers larger and stronger to better deal with future bouts of tension. Cellular fatigue refers to a host of chemical changes that occur inside and outside muscle fibers when they contract repeatedly. Research shows that mechanical tension is the most important of these three pathways for muscle growth. In other words, mechanical tension produces a stronger muscle-building stimulus than muscle damage and cellular fatigue. Heavy, lower-rep weightlifting primarily increases muscle strength and results in higher amounts of mechanical tension and muscle damage, but less cellular fatigue. Lighter, higher-rep weightlifting primarily increases muscle endurance and results in lower amounts of mechanical tension and muscle damage, but more cellular fatigue. Given what you just learned, which style of training do you think generally results in more muscle gain? That’s right—heavy, lower-rep work, because it will produce higher amounts of mechanical tension and muscle damage than lighter, lower-rep work. A high-volume, moderate-intensity group that did four workouts per week consisting of four sets per exercise in the 10-to-12-rep range (70% of 1RM). A moderate-volume, high-intensity group that did four workouts per week consisting of four sets per exercise in the 3-to-5-rep range (90% of 1RM). Both groups did the same exercises (which included the bench press, back squat, deadlift, and seated shoulder press), and both were instructed to maintain their normal eating habits and keep food diaries. After eight weeks of training, scientists found that the high-intensity group gained significantly more muscle and strength than the high-volume group. And this, in turn, results in greater muscle hypertrophy across a larger percentage of the muscle tissue. This is why your primary goal as a natural weightlifter is to get stronger, and especially on key compound exercises like the squat, deadlift, and bench and overhead press. In other words, the more weight you can push, pull, and squat, the more muscular you’re generally going to be. That’s why my Bigger Leaner Stronger (men) and Thinner Leaner Stronger (women) programs focus on heavy, compound weightlifting, and that’s one of the reasons those programs are so effective. → Is Getting Stronger Really the Best Way to Gain Muscle? You probably know that you need to eat enough protein to build muscle effectively. Specifically, 0.8 to 1 gram of protein per pound of body weight per day works well for most people and circumstances. What you may not know, though, is that you need to eat enough calories as well. Technically speaking, a calorie is “the amount of energy required to heat 1 kg of water 1 degree Celsius at one atmosphere of pressure,” and the relationship between the amount of calories you eat and burn is known as energy balance. 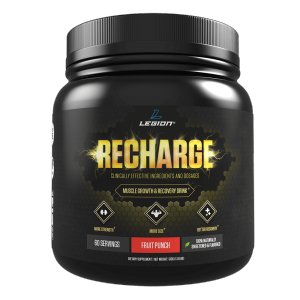 Energy balance greatly impacts both your body weight and composition. For example, if you feed your body less energy than it burns, you’ve created an energy (or calorie) deficit that will result in weight loss if sustained for a period of time. It will also impair your body’s ability to create muscle proteins, however, which slows down (or even halts) muscle growth. Finally, cutting calories almost always entails reducing your carbohydrate intake, which is going to result in a decline in performance in the gym. All this is why it’s commonly believed that you can’t build muscle and lose fat at the same time. What is true, though, is that you’ll never gain as much muscle in a calorie deficit as you would when you’re in a calorie surplus. And if you’re an intermediate or advanced weightlifter, you probably can’t gain any muscle to speak of while dieting. So, when we want to build muscle as quickly as possible, what do we have to ensure regarding our calorie intake? You got it—we have to ensure we’re not in a calorie deficit, and this is true regardless of our dietary protocol. Regardless of what type of diet we follow—low-carb, intermittent fasting, carb cycling, flexible dieting, veganism, or whatever else—if we’re in a calorie deficit more often than not, we’re going to struggle to gain muscle and strength. On the other hand, if we ensure we’re in a slight calorie surplus more often than not, we’re going have a much easier time of it. For many people, “genetics” is an unpalatable word. It’s often associated with things you want to change but can’t, and the bad news is muscle hypertrophy is one of those things. We all have hard limits as to how much muscle we can gain. That said, unless you want to be a top-tier bodybuilder or fitness competitor, you can gain more than enough muscle to look and perform the way that you want. Just how much muscle can you gain, you’re wondering? Well, there are many physiological variables in play here, but you can get a fairly accurate estimate of your muscle-building potential by analyzing your bone structure. Research shows that people with larger bones tend to be more muscular than people with smaller frames. Furthermore, they also tend to have higher testosterone levels and gain muscle faster when they start lifting weights. What this means, then, is “big-boned” people have more genetic potential for strength and size than smaller-boned folk. What qualifies as “big boned,” though, and how do you measure up? Well, two of the best indicators of your overall bone structure are the circumferences of your wrists and ankles. Height being equal, people who have wider wrists and ankles tend to be naturally more muscular and have a higher potential for muscle growth than those with narrower ones. If you’re like me and you don’t even need to measure anything to know you have slender bones, take heart. Everyone can gain a significant amount of muscle if they eat and train correctly, and you don’t have to gain as much muscle as you might think to have a body you can be proud of. Most guys only need to gain about 15 to 20 pounds of muscle to build an impressive physique, and for most women it’s closer to 10 or 15 pounds (or less). After that, developing more muscle definition comes down to simply reducing your body fat percentage. If you want to be small, weak, and frail, then do more cardio. There’s truth here—cardio does indeed interfere with muscle hypertrophy—but it’s not that cut-and-dried. In the short-term, cardio can interfere with strength and muscle gain by increasing general fatigue levels, making it harder to progress in your weightlifting. In the long-term, cardio can interfere with strength and muscle gain by disrupting cell signaling related to muscle hypertrophy. Good evidence of the first point can be found in a study conducted by scientists at the University of São Paulo. The first group did four sets of half squats for as many reps as possible with 80% of one-rep max (1RM). The second group did 30 minutes of HIIT cycling (one minute of easy pedaling followed by one minute of all-out effort), followed by the same leg workout. The third group did 30 minutes of HIIT running (same protocol), followed by the same lower body workout. After each workout, the researchers tallied up the total weightlifting volume of each group and found the first group (no cardio) performed better than the other two groups. This study didn’t measure muscle growth, but due much of what we’ve discussed in this article, it’s reasonable to assume the first group would also gain significantly more muscle and strength if this experiment were played out over a longer period of time. As to the second point—the disruption of cell signaling—working out produces a cascade of cellular, genetic, and hormonal changes to repair the damaged muscle fibers and make your muscles bigger, stronger, and better able to deal with future bouts of training (tension). Cardio, though, triggers a very different set of cellular adaptations that cause muscle cells to become smaller and more resistant to fatigue instead of larger and stronger. Doing too much cardio suppresses the normal levels of anabolic signals triggered by resistance training, which reduces muscle and strength gain over time. In other words, the more cardio you do, the harder it becomes to get bigger and stronger. Furthermore, the longer your cardio sessions are, the more pronounced this “interference effect” is in each session. It would be wrong to say that cardio has no place in your workout plan, though. First of all, cardio provides some health benefits that you probably can’t get with strength training alone. Second, there’s some evidence that doing regular cardiovascular exercise can help you recover faster between each set of your weightlifting workouts, which you could turn into more work done per workout. Third, doing cardio while lean bulking could make it easier to lose fat during your post-bulk cut. Keeping your cardio workouts relatively short (30 to 60 minutes at most). Doing cardio relatively infrequently (three to four times per week at most). Using low-impact forms of cardio like cycling, swimming, and rowing instead of running. Doing your cardio after your strength workouts. Doing your strength and cardio workouts on separate days (or at least several hours apart). Stick to that plan and you should have no trouble building muscle while including cardio in your workout routine. → Dr. Eric Helms Answers: What’s the Best Way to Combine Cardio and Weightlifting? Follow a high-protein, high-carb diet. Let’s go over each step in turn. There are many ways to train your muscles, and when the goal is gaining size and strength as quickly as possible, but nothing beats heavy compound weightlifting. It’s better than workout machines, “pump” classes, bodyweight exercises, Yoga, Pilates, and everything else you can do to develop muscle definition. What do I mean by “heavy compound” lifting, though? By “heavy,” I mean that you should work primarily with weights in the range of 75 to 85% of your one-rep max (1RM), which generally means working in rep range of 4 to 12 reps.
And by “compound,” I mean that you should focus your efforts on exercises that train several major muscle groups, like the squat, deadlift, and bench press. There are a lot of strength training programs that check off these boxes, but I recommend you start with a proven classic like the push pull legs (PPL) routine. Or, you can follow one of the programs in my books for men and women. You don’t need to do cardio when lean bulking, but including small amounts can benefit your recovery, health, and body composition. I walk my dog 4 to 5 times per week for about 15 minutes per walk (he’s a little guy). I do two 25-minute cycling sessions on an upright bike in my basement. I participate in other hobbies that keep me active, like golf, hiking, and exploring museums. If you aren’t sure what kind or how much cardio you want to do, start with two hours of walking per week. That’s all it takes to get the benefits of cardio without interfering with muscle growth. This is enough to maximize muscle growth without having to deal with unnecessary fat gain. This should allow you to gain 0.5 to 1 pound per week, which is your goal if you’re a man. Women should shoot for half of that. If you’re new to weightlifting, you can easily double those numbers for your first three to six months, but you should see them settle into this range. Aside from water, the main component of muscle tissue is protein. 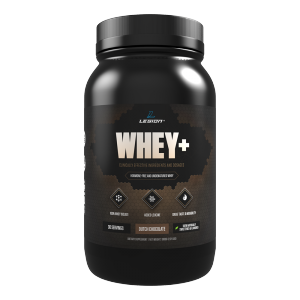 Therefore, for muscle hypertrophy to occur, you need to provide enough of the raw material (protein) for your muscles to grow larger and stronger. Well, one gram per pound of body weight per day is what most research shows is optimal for most people in most circumstances. Despite what you might have heard in the gym locker room or read in the bodybuilding magazines, there’s no need to eat more than this while bulking. After protein intake, your next priority when trying to build muscle as quickly as possible is your carbohydrate intake. You can read this article to learn why, but the bottom line is you’re going to have a much easier time gaining muscle and strength on a high-carb diet than a moderate- or low-carb one. That’s why I recommend you start with two grams of carbs per pound of bodyweight per day when lean bulking, and work up from there if (when) you need to increase your calories to continue gaining weight and size. You can spend hundreds of hours studying muscle hypertrophy and barely scratch the surface. It’s an extremely complex process that involves scores of physiological functions and adaptations. Fortunately, you don’t need to be a scientist to have a working understanding of the research, and to use it to build muscle quickly and efficiently. So long as you train with heavy loads and a moderate volume, and so long as you come close to failure in most of your heavy sets, you’re going to stimulate both myofibrillar and sarcoplasmic hypertrophy. You may or may not be able to grow new muscle fibers (muscle hyperplasia) after years of strength training. Regardless, almost all of your gains are going to come from increasing the size of your existing muscle fibers, not adding new ones. You don’t need to use different training methods to target different muscle fiber types. Heavy, compound strength training is the best way to stimulate muscle hypertrophy. You need to regularly eat more calories than you burn over time to maximize muscle growth. How much muscle you can build naturally is limited by your genetics, but chances are you can gain more than enough to look the way you want to look. Do those things, and you’ll have no trouble building muscle like clockwork.